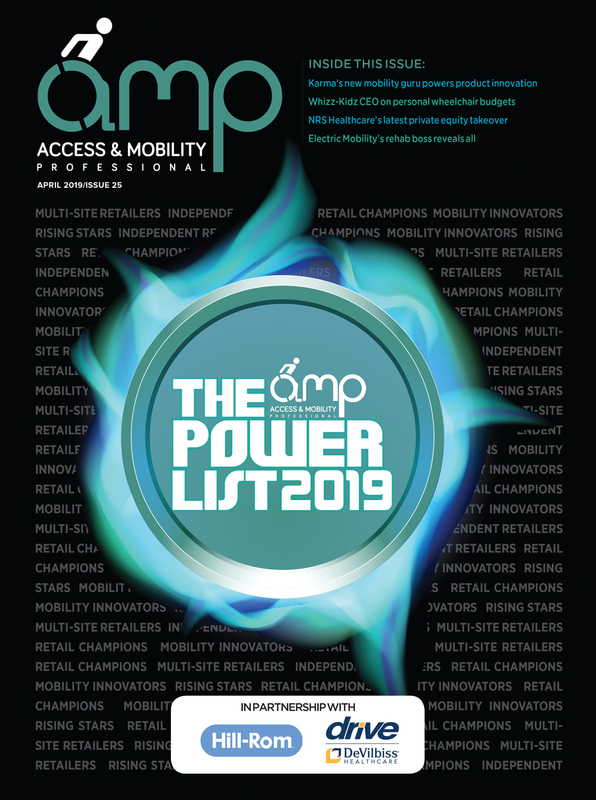 You can read the 2019 AMP Power List in full in the April edition, which is now available online HERE. The Power List, sponsored by Drive DeVilbiss and Hill-Rom, is the much anticipated return of our celebration of the top movers and shakers in the UK mobility retail sector. It recognises 35 individuals from the equipment market who have made their mark in recent months. From leading owners, chief executives and managing directors, through to retail champions and industry bright sparks, the 2019 Power List provides a rundown of those that are inspiring their businesses to new heights. The trade’s leading lights have been named by their industry peers in a nomination process where members of the market and those right across the supply chain submitted their feedback to us. In addition to the Power List, the April edition also features a Q&A with Ruth Owen MBE, CEO of Whizz-Kidz, who gives her insight into how personal wheelchair budgets are being implemented and how the industry is reacting to them. Meanwhile, Karma introduces its new chief of product innovations, who is on a mission to boost the supplier’s powered wheelchair offering amid evolving battery technology. Electric Mobility’s rehab boss is April’s Get to Know star and he reveals an interesting past which no doubt helps him to juggle with the demands of his job in the mobility sector. CLICK HERE to subscribe to AMP magazine.